When administered by an amateur, dermal fillers have the potential to seriously damage your health and appearance. If you are looking for lip plumping or anti-wrinkle treatments in Cardiff or Newport, don’t risk it. Use Save Face to find a safe, experienced practitioner. Put your wellbeing first. Use the Save Face search engine today. At the moment in the UK, non-surgical cosmetic procedures are almost entirely unregulated. This means that treatments such as dermal fillers can legally be administered by anyone, even if they have no qualifications, relevant knowledge, or prior experience. This is despite the fact, that when administered improperly, these procedures can be extremely damaging to health and wellbeing. When injected incorrectly, dermal fillers, which are often used to plump the lips and fill in wrinkles, can cause a number of unwanted side effects.. However, regardless of these potentially devastating side effects, legally, people having dermal fillers have no more consumer protection than if they had bought a ballpoint pen or a toothbrush. 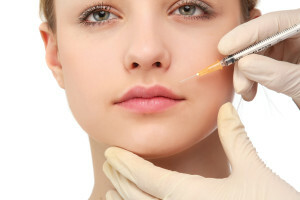 This is because dermal fillers, unlike botulinum toxin injections, are not a prescription-only medication, and aren’t covered by the applicable regulations. As you may well be aware, the number of people looking to undergo non-surgical cosmetic procedures has increased significantly over the last decade. Unfortunately, this increase in demand, coupled with the lack of regulation in the industry, has led to an explosion in the number of unqualified individuals offering treatments in unsuitable clinics. These unethical, and quite frankly, dangerous practitioners advertise themselves on the internet and in salons and spas across the country, offering low prices and time-sensitive deals to unsuspecting consumers. Thousands of people have been harmed as a result (examples of which can be found on our blog), but despite recommendations made by the Medical Director of the NHS for England, Sir Bruce Keogh, in his April 2013 review of the regulations surrounding cosmetic interventions in the UK, the government has declined to act. Save Face is an independent and impartial accreditation scheme for properly qualified non-surgical cosmetic practitioners that helps them differentiate themselves from the unsafe and unethical. It is our aim to connect those seeking non-surgical cosmetic procedures such as lip enhancement with safe, experienced doctors, nurses and dentists in order to stamp out unsafe practice in the UK. All of the practitioners and clinics you will find using the Save Face search engine have been vetted onsite against our strict set of objective standards to ensure their safety.